So you are trying to install a new app or maybe record a video & your iPhone won’t allow you due to the storage being at full capacity. You come to realize your photo gallery is taking up a ton of storage! What do you do? Well you can delete them, try to upload them elsewhere, or pay for services like iCloud which can get costly. The pictures are important memories of your vacation, family, and what have you. So it’s important to understand how and why to back them up. As a form of safety for your data and a method for you to start collecting more memories and storing them on your phone. So next time you get that full storage message you won’t have to worry. Don’t know how to backup your pictures? No worries however as this is a super common issues amongst iOS users. We all take a ton of photos & videos nowadays so it’s understandable that they are the main source of data on our iDevices. Those same users may not know how to offload said data & ensure that those important pictures & videos are not just exported off the phone but stored safely. 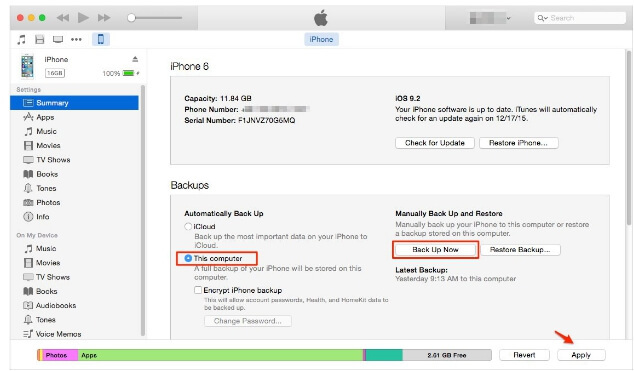 This is important as in the event of a device failure or you losing your iDevice you still have your data safely backed up. On the mac , a good method is to use the free Photos app that come with OS X for your desktop or laptop, though This is tedious & not necessarily automated. Plugging in your device will open the “Image Capture” app. Go to the Import tab to automatically upload your pictures into one of the programs, not in My Photo Stream, but in the application itself. Now, your images are officially saved to your computer and you can delete them. Tip: Click the button that reads, “Delete items” in Photos to delete photos from your iPhone after importing them, if you want to make room on your iPhone for more photos. Step 2. Select your iPhone to open the Summary page. Step 3. Select "This computer" in the "Backups" section. Step 4. Click Back Up Now to begin the backup process. iMyFone Umate Pro or iMyFone Umate Pro for Mac, a simple and straightforward solution to backup. While saving you a ton of space. This is done by not just backing up your data but also compressing the existing photos you leave on the device to save you space. This is achieved through photo compression and backup. 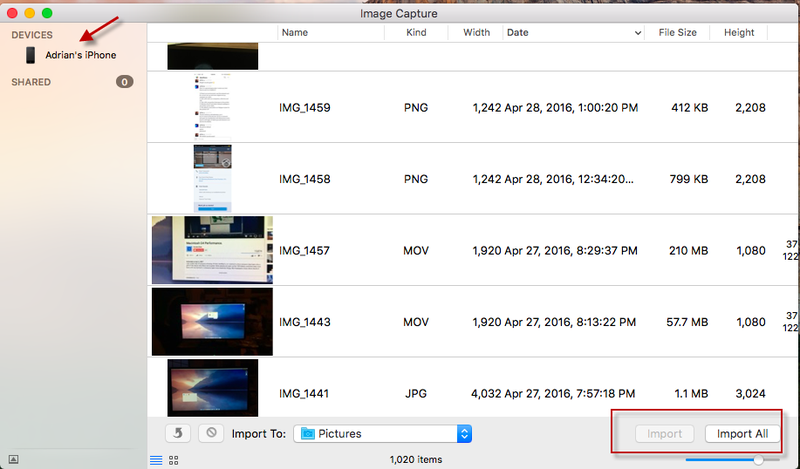 Backing up can be done by opening the iMyFone Umate app and going to the “Photos” tab on the left side of the app. You’ll then see your iDevice data once plugged in such as the amount of data on the device. This is where you’ll scan your device & have it compress the photos on the existing device. As this process occurs you’ll have your photos also backed up so next time you visit the app you’ll see a link to “Open Backup Folder”. This backs up your entire library so no need to worry about missing anything. Most importantly your now free to delete photos/videos as needed without the worry of losing the original. This is important for a couple reasons. You now have a backup offsite in the event of your iPhone hardware getting damaged or lost, simultaneously you get to compress the photos you do keep on your device to save more space. All of this done in less than three clicks. Hopefully this article will give you a better idea of the several options you have for backing up your iPhone photos. If you have any questions, do feel free to let us know in the comments section.